When I began bartending in my third year of University, I had no idea the long-term impact that this would have. I always knew that I wanted to be an entrepreneur, which is why I studied Business as my minor, but little did I know that the best business lessons I would learn would come from my real-world hospitality experience. I often joked that I was getting paid to make drinks and socialize – two of my favourite past-times! I didn’t realize then that I would later attribute much of my success to this fun industry. 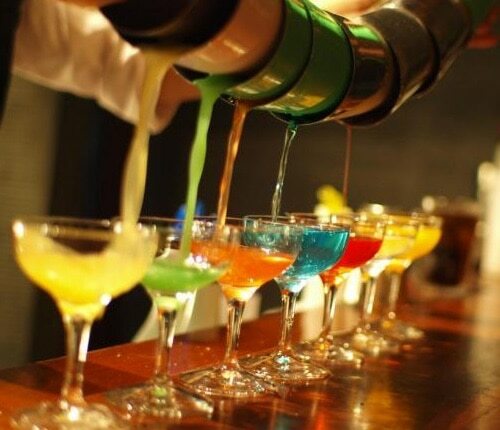 Bartending helped me to graduate from University debt-free, while still allowing me the time I needed to complete my studies. Following school, it acted as a great “break” from a stressful career as an analyst. And when I was laid off from my last corporate job with mortgage payments and bills to pay, it provided me with a full-time income and the time to re-evaluate my life focus and next steps. As I began my career as a Home Stager and Designer, bartending provided both the financial and mental relief that I so often needed to get through until my new career became a success. If you don’t have the answers, ask someone. When that fails, fake it and hope no one notices. No matter how badly you screw up, apologize, take responsibility, fix it, and smile. When things get crazy, keep moving forward – you’ll get to the end eventually. It doesn’t feel like work if you’re having fun. Snapping your fingers or waving money around does not get you things faster, but sometimes a smile will. “Shut up and listen” is an effective strategy. Everyone has a story, don’t pretend you know what it is. When all else fails, cheers to another day!